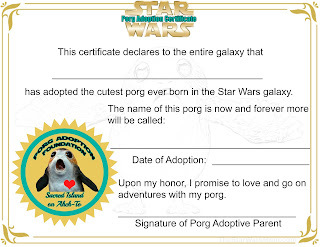 Mara Jade Porgwalker, my recently adopted porg, was screeching with excitement when she saw her adoption certificate. As it turns out that the Sacred Island on Ahch-To has a Porg Adoption Foundation. Of course they do carefully screen those who want to adopt a porg. Not Just Anybody Can Adopt a Porg! 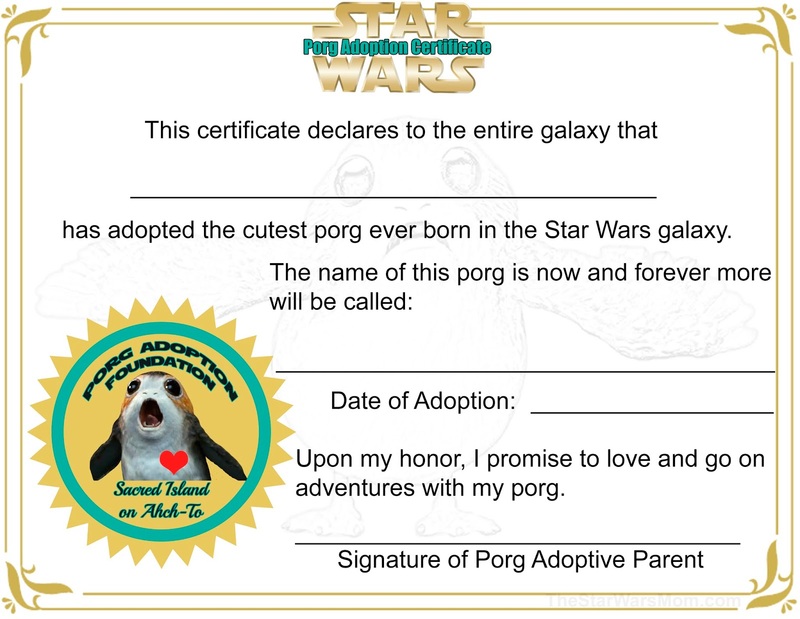 If you know somebody who loves porgs, be sure to let them know about the Porg Adoption Foundation and these free printable porg adoption certificates. From my understanding, many of the porgs are already lightsaber and litterbox trained. All you need to do is provide them with plenty of fish, water, love, and adventure.